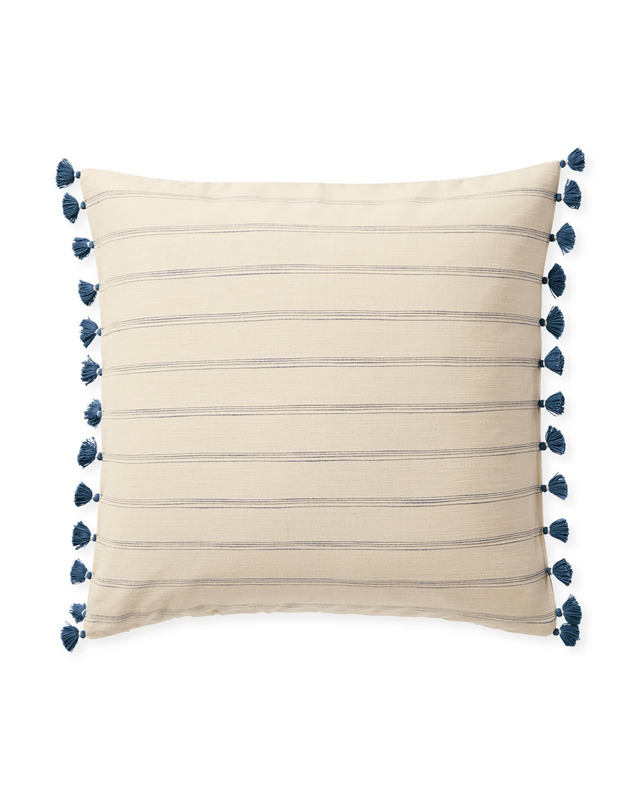 Alsworth Pillow CoverAlsworth Pillow Cover, Washed Indigo alt="Alsworth Pillow Cover, Washed Indigo"
Print Our love affair with stripes continues. Here, narrow yarn-dyed lines create a vibe that’s calm, classic, and casual, while neutral tones ensure covetable versatility. Tassels add a playful attitude.